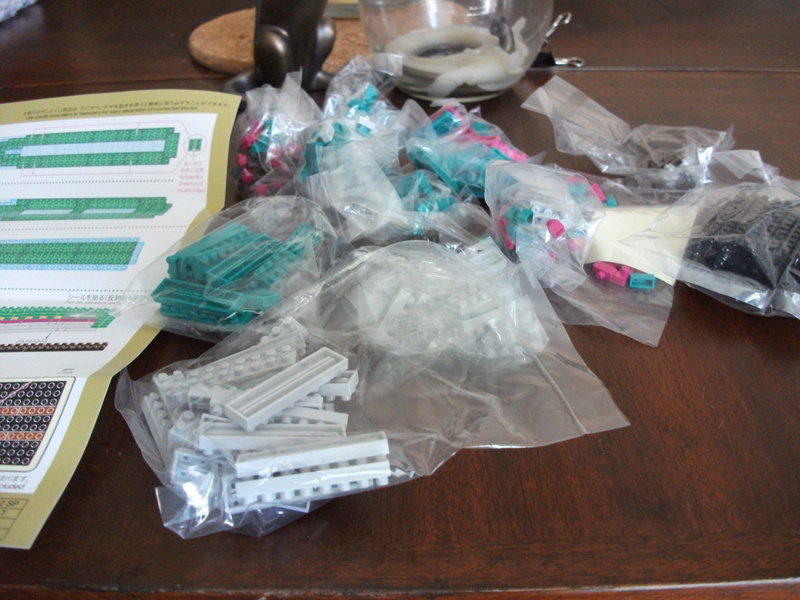 As I reported in my last post, I was given a nanoblock kit that was purchased at Dollarama. Today was the day I decided to make it. I undertook this task as I had quite a few free minutes. It took hardly any time at all. At 110 pieces, this is among the smallest kits I have built. A quick perusal of the instructions revealed it to be a rather straightforward build. I am not a huge Hello Kitty fan, but I like that there are many different things you can build. The product should appeal to many people and since there are a large number of Hello Kitty fans, it only makes sense. It seemed to have turned out well and there were quite a few leftover pieces to go into a future build. 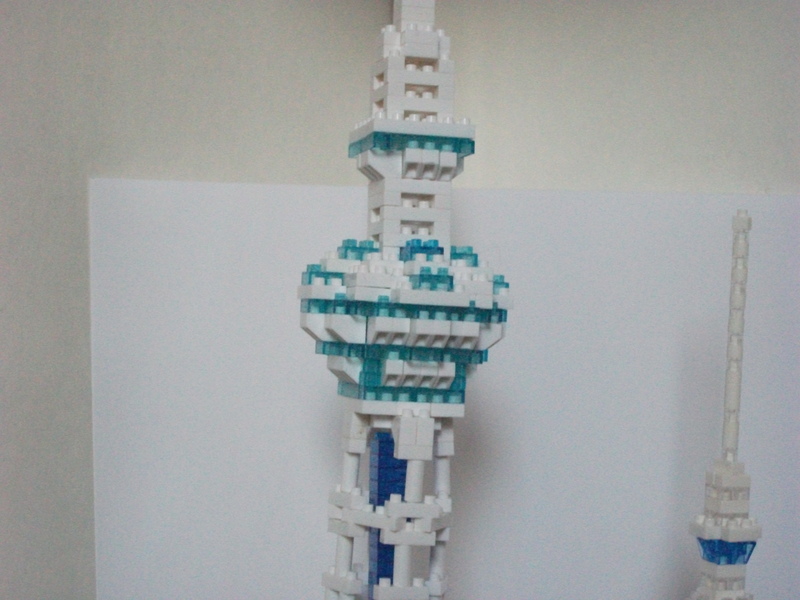 I finally finished the Nanoblock version of the Tokyo SkyTree. In doing so, I thought a comparison between the Microblock version and the Nanoblock version would make a good post. My only question was how should I organize it. I also decided to put together a rough video so you could see them both side by side. 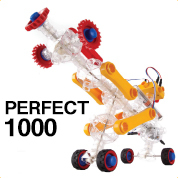 This fragile part took a very long time. What took me so long…..
Well, the basic truth is that it was hard. 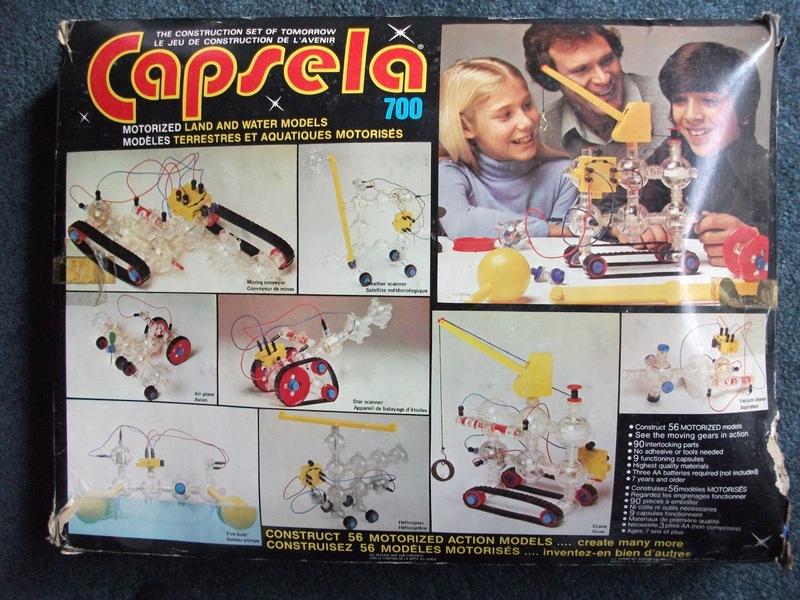 There were some fiddly pieces that proved rather frustrating. The creators (Kawada) indicated that the difficulty level on this build was a 5. I thought that they were joking….but they weren’t. A couple of times, I just had to get up and walk away. I even considered crazy gluing the thing together. The Microblock version is much bigger than the Nanoblock version. 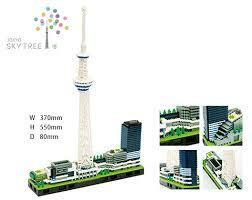 The Microblock Skytree is much mroe symmetrical and relies on more standard pieces. 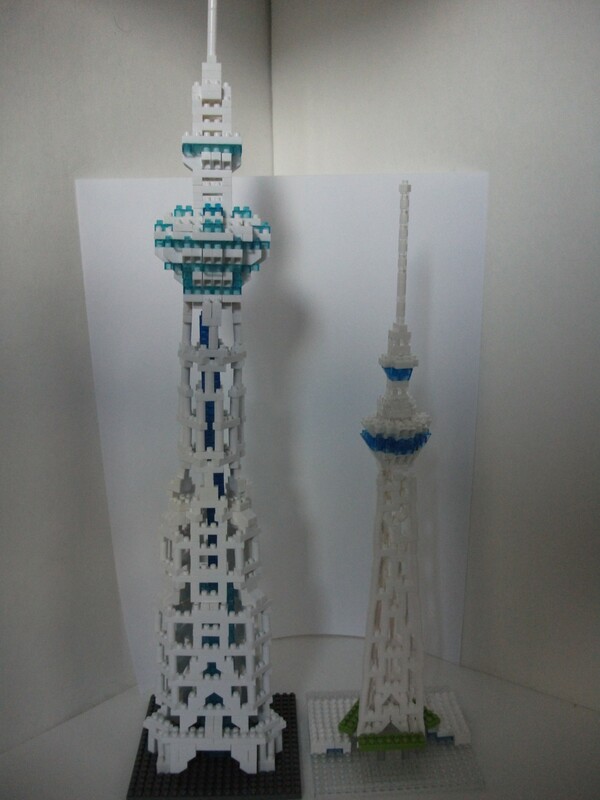 The Nanoblock Skytree is not linearly symmetrical and relies on incorporating a couple of really tough pieces. These include a round, slightly angled piece that must have originally been used in their Leaning Tower of Pisa model and another piece whose shape I am unable to describe–luckily I am including a photograph. 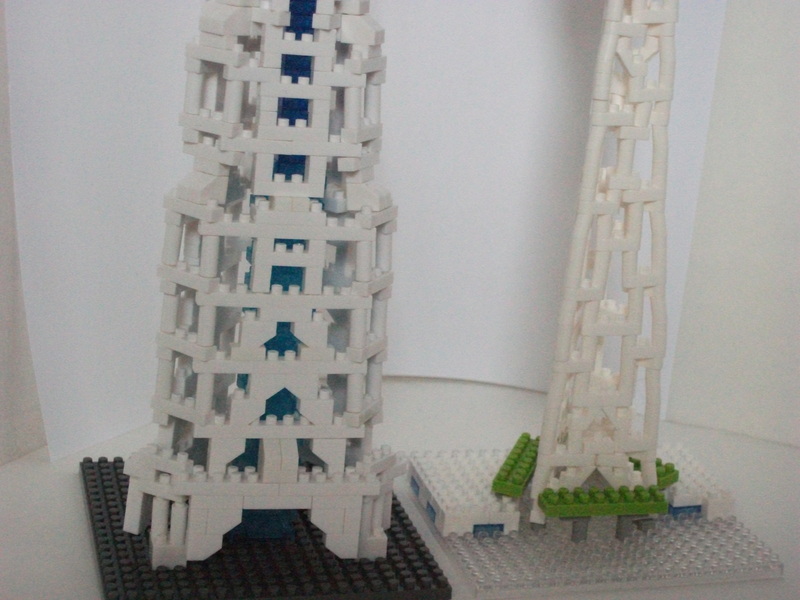 Both had their difficulty when constructing the lower portion of the tower. 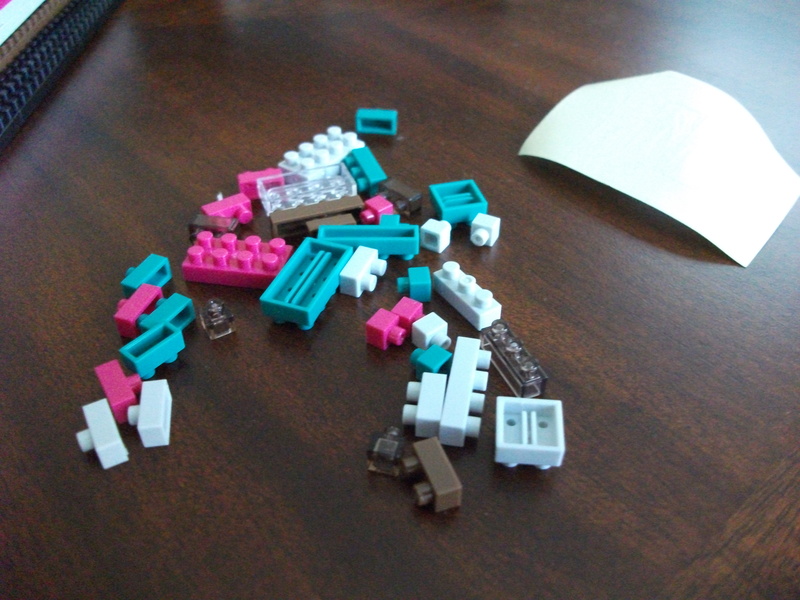 The Nanoblock version was a bit more fragile and required more than one sitting to get it done. At one point, I finally got the base together and decided to leave it for a month, hoping that the pieces would somehow meld together strongly in my absence. Somehow it worked…or else I might have gone for the crazy glue. I can’t really comment on this because the Nanoblock version was bought in Japan for about $30 and brought to me whereas the Microblock version was a birthday present. 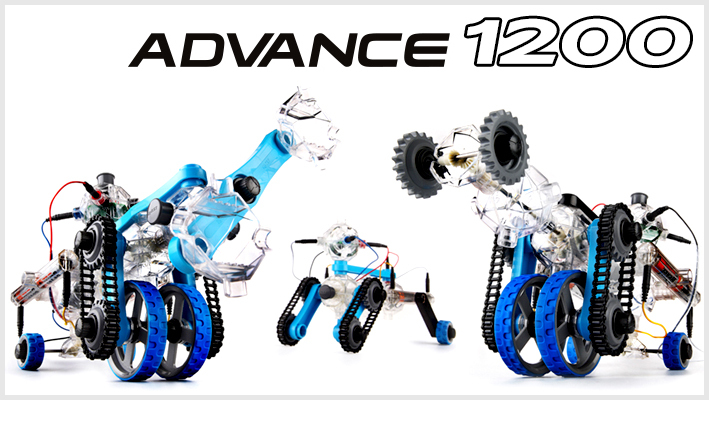 I suspect that on those terms the Microblock version costs more. 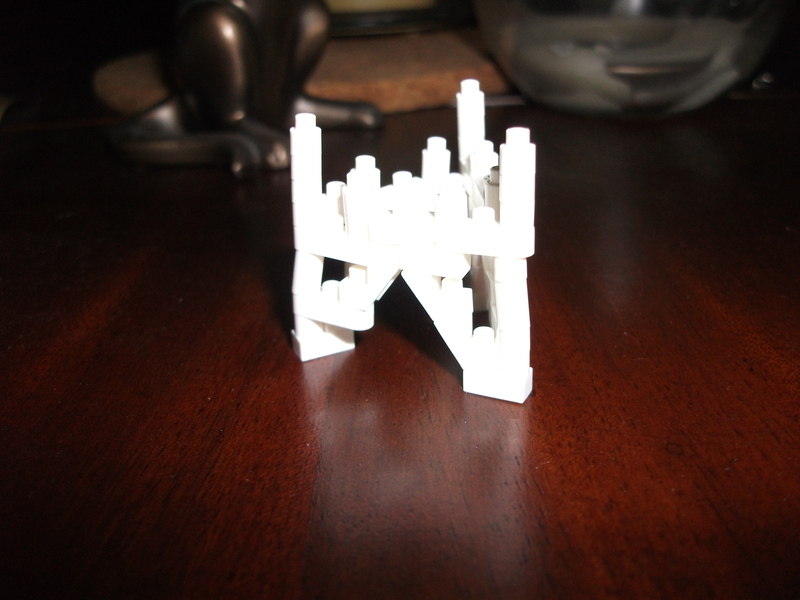 However, considering their availability in Canada, Nanoblocks cost more. I am not even sure you can get this one in Canada. I will have to check. The Microblock version has the nice interior blue effect–achieved by stacking a large number of clear blue square tiles together. 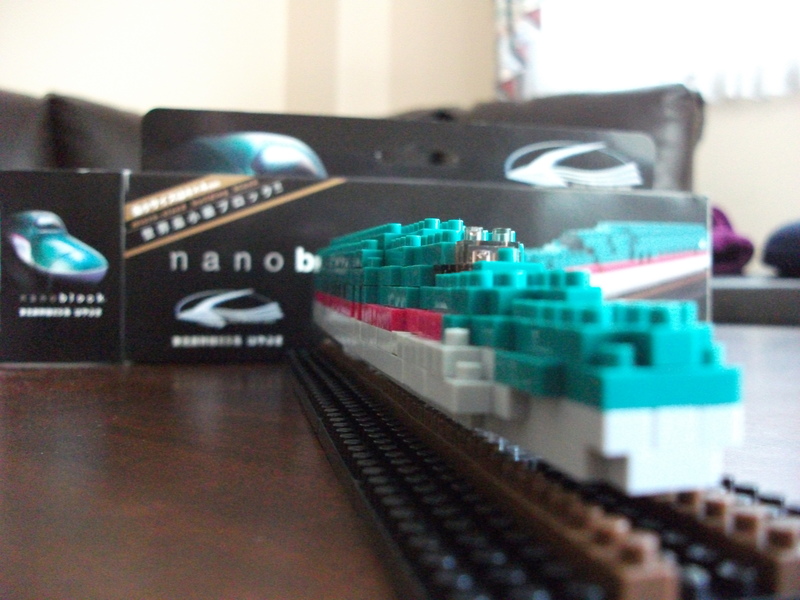 The Nanoblock version seems to be somewhat closer to the original–but you can be the judge of that. I base that on its use of round tube like structures to replicate the original. Both look good and are interesting builds. 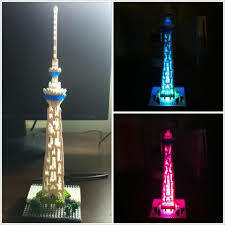 In Japan, you can buy a base that lights up and will produce a different effect. Additionally, there is a deluxe version (read expensive) available which seems really cool. I haven’t written about nanoblocks lately, but I haven’t given up on them. I was fortunate enough to receive a couple of sets from Japan and I thought you would like to see them. The first is the shinkansen. Since I love trains and Japanese trains in particular, this person thought that this was a natural gift. I agree one hundred percent. The parts came in quite a few separate bags, and rather than spend a lot of time sorting them, I just hoped I wouldn’t lose any pieces while building. There weren’t any special pieces exactly, but there were some nice translucent brown pieces–there were a couple of leftovers, so I will probably find some use for them someday. The train turned out alright, though I don’t think it was brilliant. The shinkansen is a smooth aerodynamic train, and that really wasn’t represented by these blocks. It is unfortunate. Perhaps the next version will include some smooth top pieces. 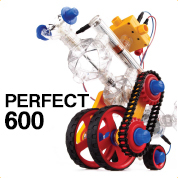 I enjoyed building it, but I would have liked a bit better of a resemblance. Perhaps I am just being too picky. 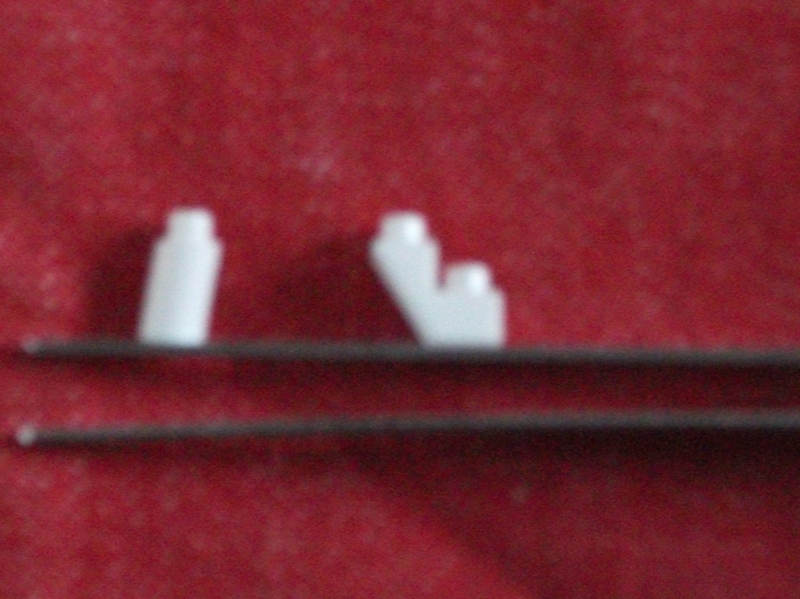 There were a handful of leftover or spare parts. And of course, I have to put the decal on the train–I just thought I had better wait on that. The room needs some dusting before I tackle that project. These are the leftover parts. Quite colourful aren’t they?